Nice bit of clobber there lads. Ever thought of going into the garment trade yourselves!!!! Mod's answer tae Gilbert and George? Work jacket ( Sak Jacket, Ice cream Jacket), Flannel button down Jeans and apologies for the trainers as I was just polishing my boots, which are now on (Brown). Weather's already so warm here that I'm using Claudio's Torino shirt as a jacket. Here with Uniqlo Green roll-neck, Levi's sta-prests and Clarks' cord shoes. Unfortunately, the car isn't mine. If you ooze masculinity, like some of us do, you have no reason to fear pink. Works well as a 'shacket' mate. Decent. Thanks, fellas. 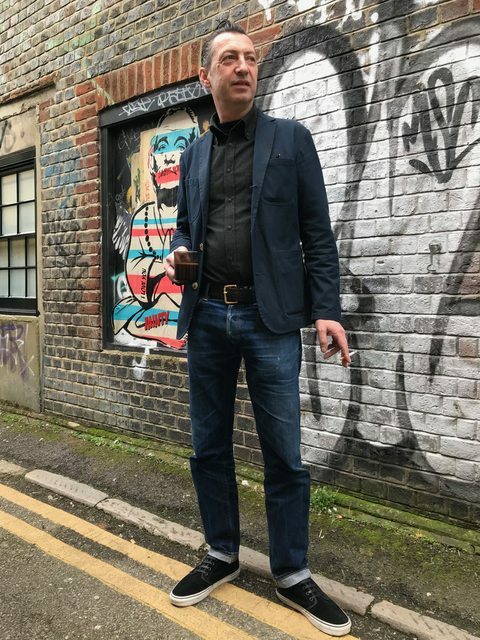 I'm afraid it's time to say the annual farewell to wool/cord trousers and coats, with average temperatures here above the 68º F mark, sunny days and just a soft breeze to cool things a bit. I'm spending some days in Navarra, up north, come Easter, maybe there I'll still need some winter clobber. Following on from the lovely Gloveral Mac GS posted I was wearing similar today. A vintage back buckled cap and a trusty bit of M&S from about 10 years back and a PECKHAM RYE scarf. Also what I was wearing beneath. 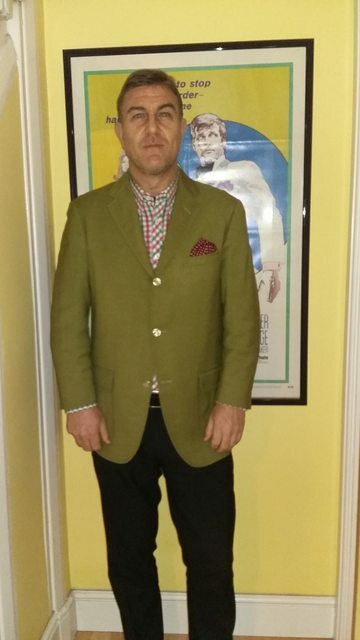 A vintage hopsack US blazer, a JUMP THE GUN shirt, bog standard trousers and Bass Weejuns. Having enjoyed you guys' posts over the years I may as well weigh in a bit now I am able to get my head around posting. Martin, I'm guessing from your first outfit that the weather's still inclement up there, you could find me wearing very similar gear just two or three weeks ago, cap included (without the back buckle, an interesting detail, btw). 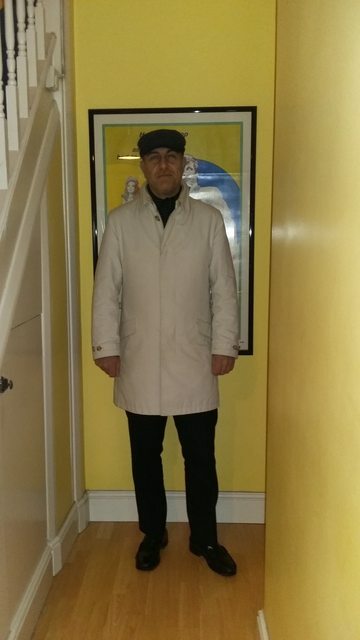 You're right about the Gloverall number, it's lovely and the detachable collar strap and horizontal pockets add that extra flair, IMO. The second pic's jacket is beautiful, love this olive shade, and being vintage you've been very lucky with the fit. Cheers GS. Yeah the weather here, certainly yesterday, was cold and wet still. Dry today but cold and worse on the way I hear. The Mac was from M&S and was about £150. Then reduced to £100 until I finally saw it reduced to £75. As I went to pay the lady keyed it all in and told me it had been reduced further to £50! The jacket is a decent fit and was an ETSY thing about three or four years back. Needed the sleeves taking up as is often the case but that aside was a bit of a result because it was only about twenty quid. Probably paid more to get it shipped and altered.